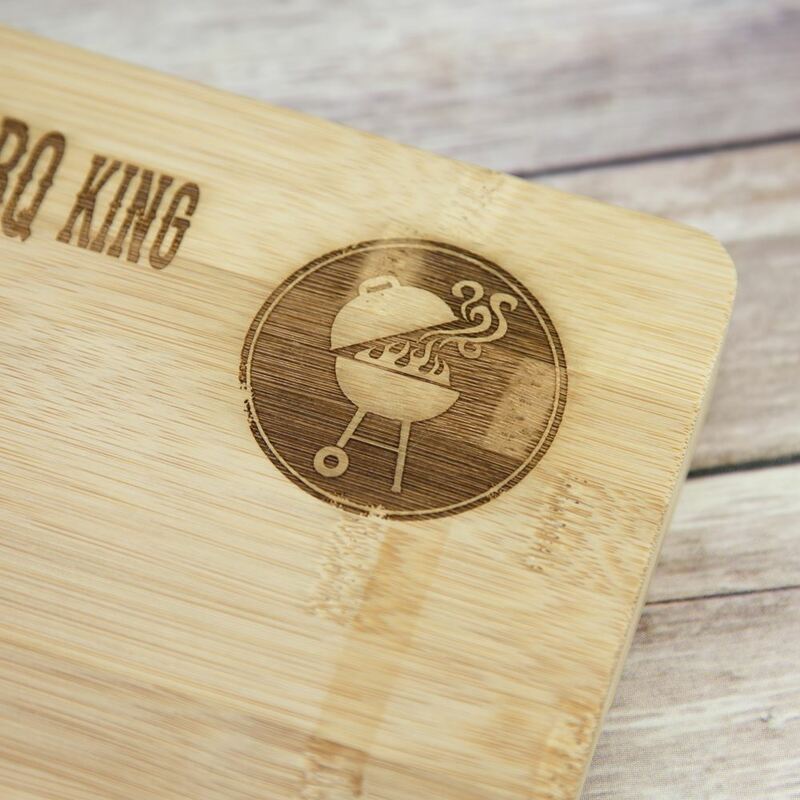 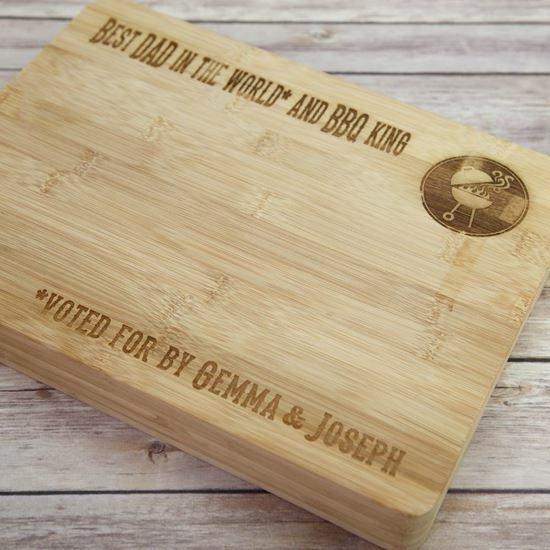 Whether your Dad always burns the meat or cooks the pefect BBQ he will love this chopping board. 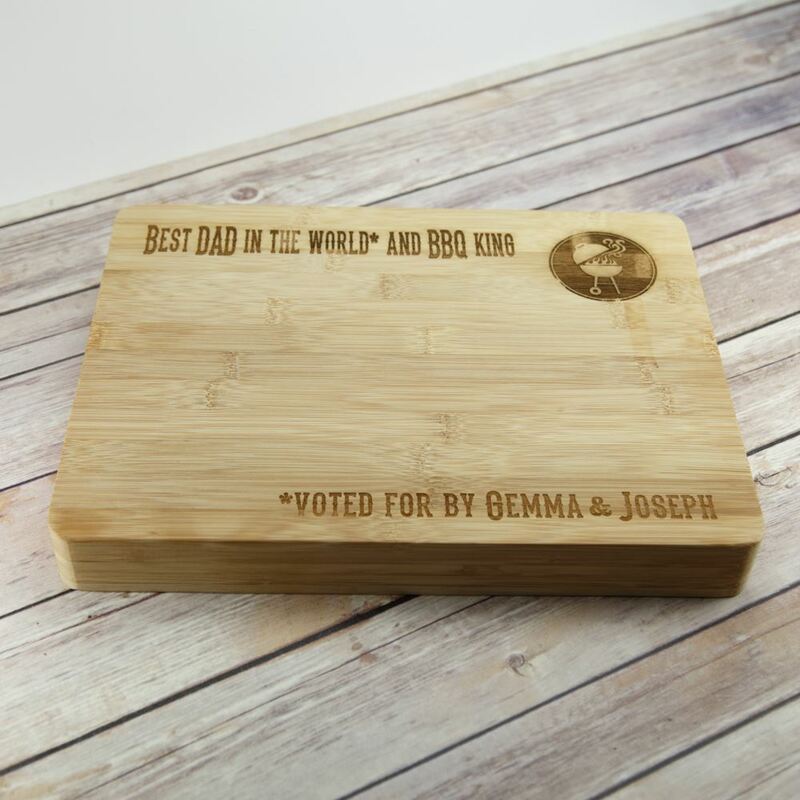 It reads "Best Dad in the World and BBQ King" and is then personalised with the name of his children, wife or anyone else he BBQ's for. 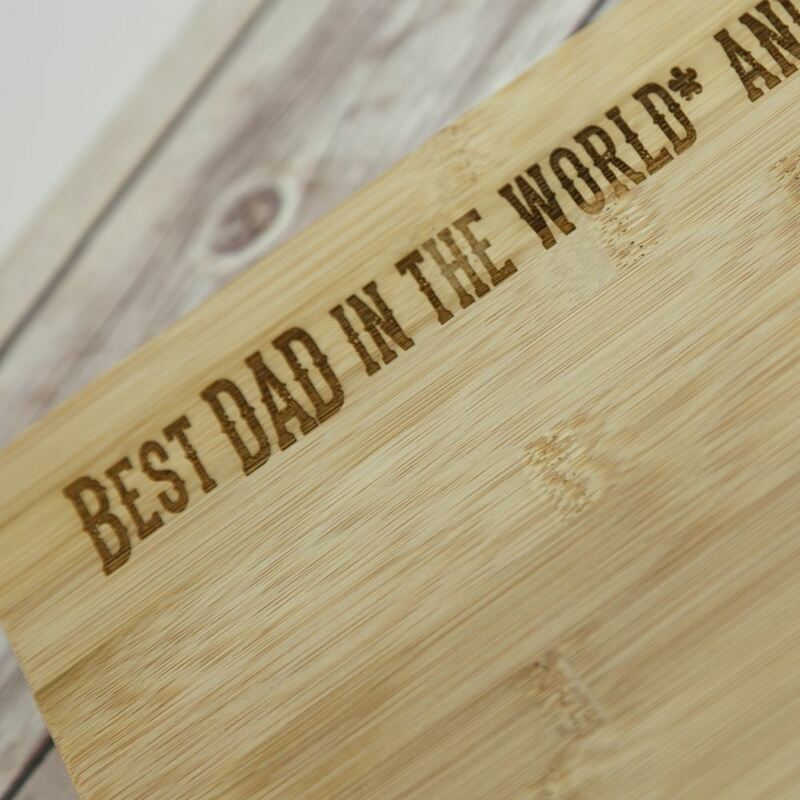 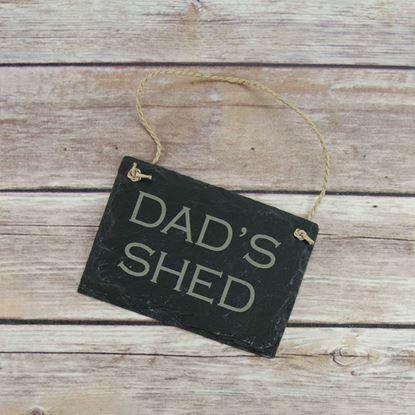 The perfect gift for Father's Day, birthdays or just because! 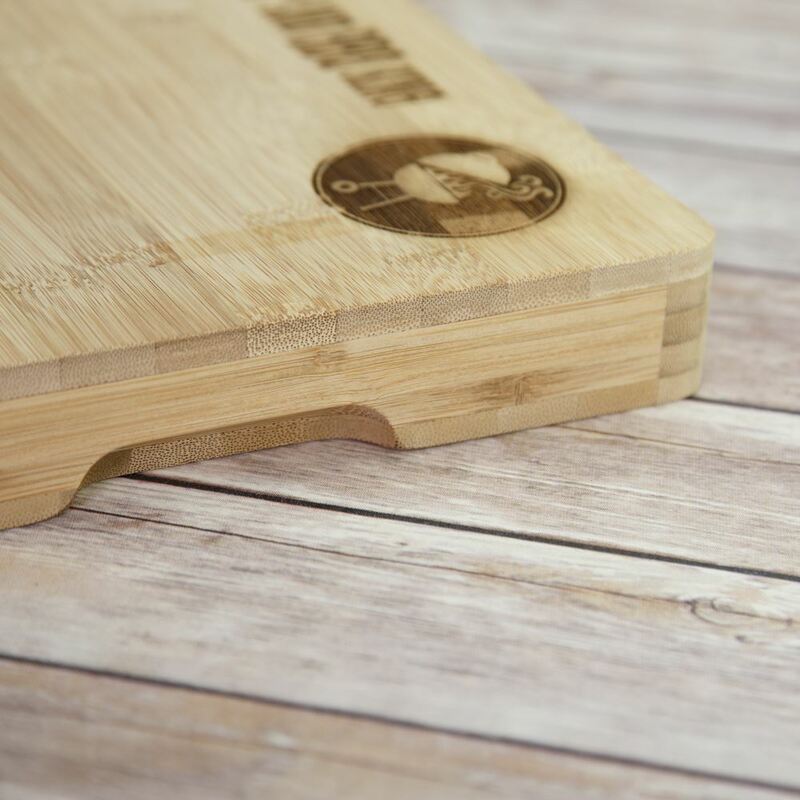 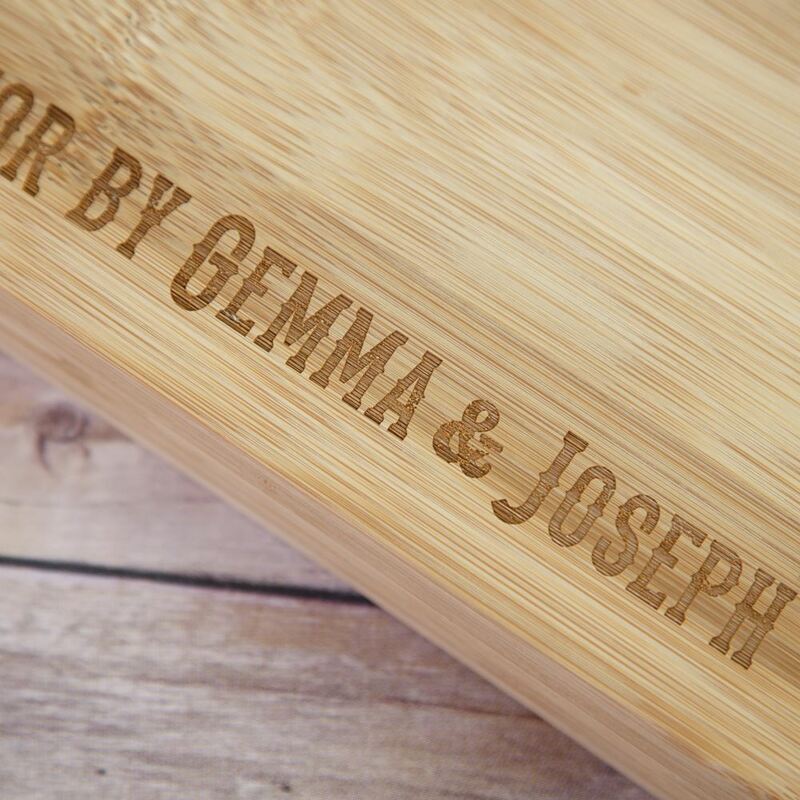 Each board measures 33cm x 25cm x 4cm and is crafted from Bamboo.